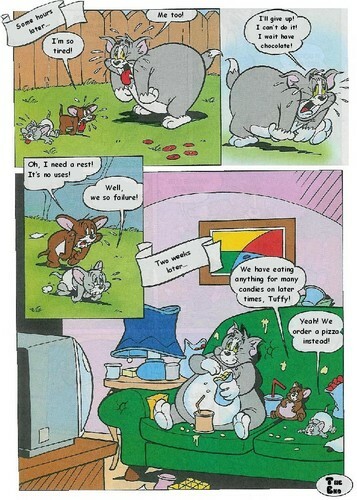 Comic: Fat Cat (Part 4). . HD Wallpaper and background images in the Tom and Jerry club tagged: tom jerry fat nibbles. This Tom and Jerry fan art contains anime, comic book, manga, and cartoon. Tom & Jerry : Cath me if you can ! Tom and Jerry, fight to the death! Tom & Spike: I that tweet at all! Tom and Jerry in race cars!